Silhouette Instalift – the new Instant Facelift is a minimally invasive method for lifting the skin and underlying tissue of the face without the incisions, scarring, and the recovery time of surgery. I am excited to be one of the very first doctors in Connecticut and Louisiana to offer the Silhouette InstaLift — a non-invasive, non-surgical facelift that reveals instant, long-lasting results that only improve over time. 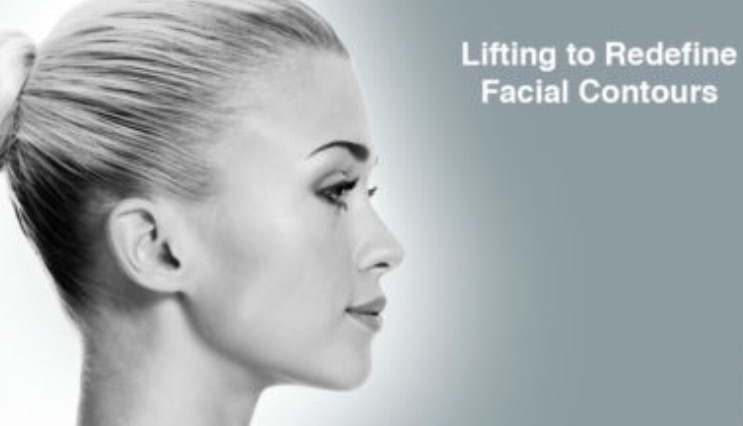 Silhouette InstaLift is an FDA approved non-surgical way of lifting the cheeks, jowls and neck. New advanced suspension technology now allows me to restore midface volume for a natural youthful appearance. I use a very thin, self-anchoring thread to shift and lift the facial structures to a more youthful position. Silhouette threads provide vast improvement with the use of dissolvable threads and cones made from Plyglycolide/L-lactide (PLGA), which is also used in Sculptra. The expertly placed thread stimulates collagen to help anchor the lift and restore the natural shape of your face. Over time your body absorbs the sutures while stimulating your own collagen to restore volume for even longer results. You will notice a more contoured appearance and natural look. With Silhouette InstaLift I can provide a non-surgical lift and contour that is safe and effective. A traditional surgical facelift only tightens the skin and does not address volume loss. Now, both skin tightening and volume restoration can be addressed in the same procedure with minimal down time. We can improve many areas of the face and neck including: sagging jowls, mid-face and nasolabial folds. I use this advanced thread technique to customize your lift. The Silhouette Instalift can be complimented by other aesthetic facial procedures (Botox, Dysport, Voluma, Volbella, Restylane, Sculptra, Kybella, under eye contouring, eyelid lifting, laser, microneedling, Clear and Brilliant, BBL, Hydrafacial and skincare). Silhouette InstaLift is an in-office procedure. I mark the areas to be treated and administer a local anesthetic in key areas. This procedure takes 45 minutes and carries little risk. Generally you may drive yourself to the office and home. The Silhouette InstaLift is not surgery so you will enjoy a quick recovery. Generally you may return to work and social activities the next day. You may be slightly swollen, red or bruised immediately following the procedure. This will quickly resolve and you will look natural and refreshed. Your only restrictions will be maintaining a light diet without aggressive chewing and no heavy gym work or laying on the face for 2 weeks. This allows the threads to anchor your results for a long lasting beautiful result. The sutures are FDA-approved and manufactured in the United States. PGLA is well known for it’s ability to absorb naturally in the body and has been used for many years.